MONDAY, Oct. 10, 2016 (HealthDay News) -- Breast cancer chemotherapy costs can vary by tens of thousands of dollars in the United States, depending on the course of treatment doctors select, a new study finds. Even across drug regimens that achieve the same effect, insurers' costs can differ by as much as $20,000, researchers found. They found a smaller variation in patients' share of the cost across different treatment regimens. "But there still was a high financial burden for patients," said Dr. Sharon Giordano, the study's lead author. That's especially true for patients in high-deductible health plans. Their median out-of-pocket cost exceeded $5,000, and 10 percent of patients shelled out $11,000 or more, the study found. Giordano is a professor in breast medical oncology and chair of health services research at the University of Texas MD Anderson Cancer Center in Houston. She and her colleagues estimate that using equally effective but less expensive chemotherapy regimens could slash U.S. health care spending by $1 billion a year. Swapping a three-drug regimen called TAC for dose-dense doxorubicin and cyclophosphamide, for example, could cut $15,000 in cost "without any evidence that one is better than the other," Giordano said. "If there are equal options, it does seem like we should consider, potentially, the cost," she added. The American Society of Clinical Oncology's Value in Cancer Care Task Force is working to equip doctors with information comparing benefits, toxicity and cost of different cancer treatments. While only a minority of doctors share cost information with patients, it's happening "more and more" because of patients' high copayments, said Dr. Lowell Schnipper, the task force chairman. Schnipper, chief of hematology and oncology at Boston's Beth Israel Deaconess Medical Center, was not involved in the study. But he agreed with the study authors that there are less costly regimens with comparable effectiveness. Giordano said she became interested in chemotherapy costs partly because of her involvement with patients. One patient, a teacher she had treated for early stage breast cancer, conceded she was still paying off treatment-related debt some five years later, even though she had insurance. "I wouldn't have necessarily treated her differently," Giordano said. "But I was really very taken aback at the impact that the treatment I had prescribed had had on this person's life." For the study, Giordano and her colleagues used mostly private insurance claims to calculate the cost of chemotherapy for nearly 15,000 U.S. women diagnosed with breast cancer between 2008 and 2012. The analysis included all claims within 18 months of diagnosis. Costs were reflected in 2013 dollars and adjusted to account for a slew of differences, including age at diagnosis, year of diagnosis, region of the country and insurance plan type. Half the insurers' paid more than $82,000 for chemotherapy, the study found. Adding trastuzumab -- marketed under the brand name Herceptin -- boosted insurers' median chemotherapy payment to $160,590. 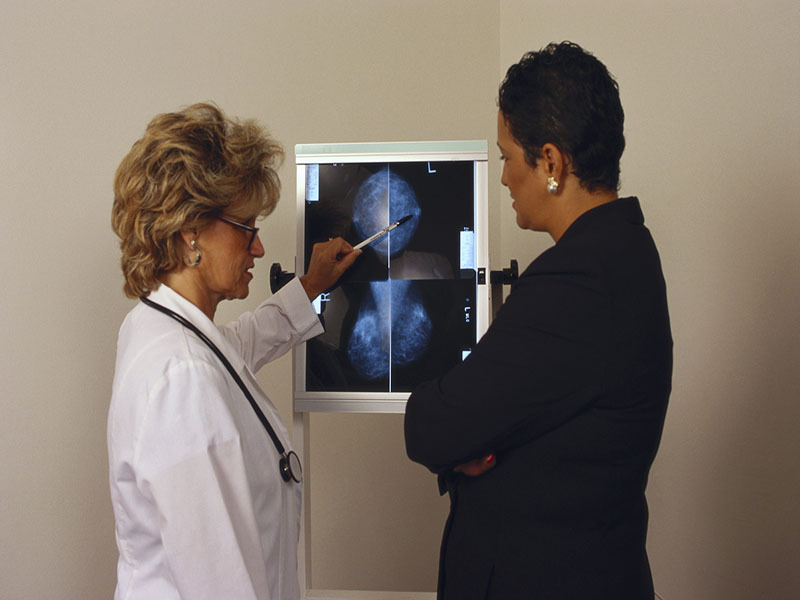 Herceptin is given to women with certain aggressive breast cancers. "It's a lifesaving treatment," Schnipper said. Compared with the most common treatment regimens, insurance costs varied by as much as $20,000 for women on non-Herceptin regimens and $47,000 for women receiving the additional drug. Patients' cost-sharing ranged from $2,700 to $3,400, on average, depending on whether or not they received Herceptin-based therapies. However, one in 10 patients who did not receive Herceptin paid out $7,000 for treatment. And one in 10 patients on Herceptin-based therapies paid more than $8,000. The authors said the study is limited by its focus on a younger, privately insured population. "Those patients who lack insurance may face considerably higher costs of care," they wrote. The study findings were published Oct. 10 in the journal Cancer. The research was supported by grants from the Susan G. Komen Foundation, the Cancer Prevention and Research Institute of Texas, the Agency for Healthcare Research and Quality and the MD Anderson's Duncan Family Institute for Cancer Prevention and Risk Assessment.